treated by expensive surgeries which in the end have offered questionable relief. HOW CAN YOU USE THIS FILM? All The Rage has been hailed by educators, therapists, doctors, and a wide range of mind body-focused scientists and practitioners for its insight into the mind body connection. In collaboration with psychologists who worked with Dr. John Sarno, we have developed teaching materials available with the educational license of the film. Universities and Institutions can acquire the film to screen for libraries, classrooms and events for up to 5 years. CAN WATCHING A FILM CHANGE A LIFE? Using a first-person approach to explore the work of renowned physician Dr. John Sarno and his radical methods to treating back pain, ALL THE RAGE examines the connection between emotions and health. Through interviews with Sarno, esteemed patients, and experts, the film offers a profound rethink of how we approach our health care. On June 22, 2017 Dr. Sarno passed away – one day before his 94th birthday. A beautiful obituary in the New York Times recounted his legendary life and profound contributions to science. • Over 100 million Americans suffer from chronic pain according to the Institute of Medicine, more than the number affected by cancer, diabetes and heart disease – combined. • The World Health Organization estimates that 1 out of 5 people suffer worldwide. • The total cost of treating chronic pain is approaching $1 trillion dollars. have sold millions of copies, with Healing Back Pain ranking as #1 in Pain Management. 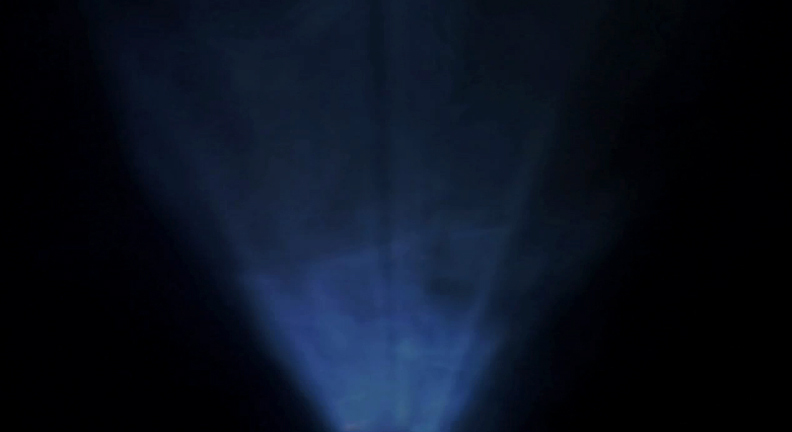 “A mind opening doc about Healing Pain. [All The Rage] offers immediate solutions to the seemingly inexplicable pain epidemic. “On the surface, All the Rage is a story about chronic pain and a doctor’s quest to help people get rid of it. While practicing at the Rusk Institute of Rehabilitation at NYU medical center, Dr. John Sarno came to understand the problem and predicted the epidemic of chronic pain beginning in the 1970′s. When Dr. Sarno compared his patients’ charts, he found that more than 80% of them had a history of at least two other psychosomatic illnesses like ulcers, migraines, eczema, or colitis. He postulated that the stresses of life might be causing the pain. When he talked to his patients further, he found that most of them were perfectionists who put themselves under unreasonable amounts of unconscious pressure to be perfect and good. When Dr. Sarno suggested his patients make the connection between their emotions – including their tendency to put themselves under extreme pressure – and their pain, they rapidly improved. His visionary insights revealed that the unconscious mind was activating the autonomic nervous system, and that the repression of unconscious rage was a major contributor to pain. Over the course of his 50+ years in practice, he developed and adapted his treatment program into four bestselling books, which have been translated into over 30 languages. He changed shock jock Howard Stern’s life. Veteran Senator Tom Harkin was inspired to campaign for his cause, and he gave comedian Larry David “the closest thing to a religious experience” he’s ever had. Dr. John Sarno’s bestselling book “Healing Back Pain” was first published in the 1980’s, and when co-director Michael Galinsky’s father read it he was cured of chronic whiplash. The book – which connects pain with emotions rather than structural causes – put Sarno at blunt odds with the medical system, which shunned his unorthodox approach. Many years later, when Michael was immobilized by excruciating back pain, he met with Dr. Sarno and was put on the mend. 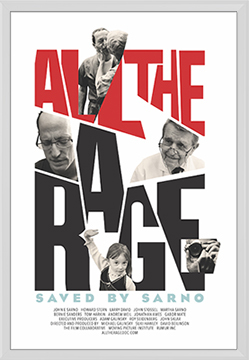 Thus began a 12-year odyssey to chronicle his personal journey of healing with the story of Dr. Sarno and his work.This artful and personal film, “All The Rage,” braids Galinsky’s universal story of pain and emotion together with the story of Dr. Sarno’s work, connecting the audience to both the issues and the emotions at play. Featuring interviews with Howard Stern, Larry David, reporter John Stossel, Dr. Andrew Weil, Senators Bernie Sanders and Tom Harkin, and other luminaries, ALL THE RAGE offers a profound rethink of our health care.